Uzbekistan is an agricultural country: the majority of Uzbeks live in villages and work the land. Villagers keep house and farm the way it was done centuries ago: women cook on open fires, weave, spin yarn, bake bread, milk cows. Men farm, shepherd livestock and build simple houses of stone, rocks and clay. It is always rewarding to spend time in Uzbek villages. 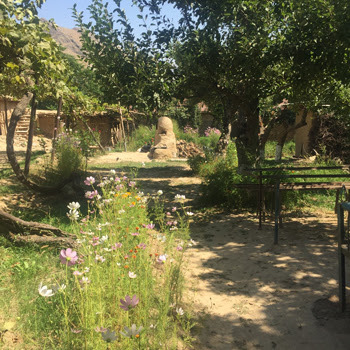 And not far from Samarkand's famed turquoise domes, it is possible to hike through a beautiful forest and enjoy a village home stay. About 45 kms east of Samarkand, on the road to Timur's home town of Shakrisabs, lies the very pretty Aman Kutan valley, dotted with small settlements. The area is perfect for a day hike, an enjoyable lunch stop after a visit to Shakrisabs or an overnight village home stay. Since ancient times this region has played a major role in the life of Samarkand. It was the only road connecting the Surkhandarya oasis with the Zarafshan river valley, i.e. the shortest path from ancient Bactria to Sogdiana (the ancient name for Samarkand). The armies of Alexander the Great, Genghis Khan and the Persians all marched across this way. Later this route formed a section of the Great Silk Road with considerable economic and cultural importance. Aman Kutan was also the first area of mountain afforestation in Central Asia; it was initiated by N.I. Korolkov, the Governor of Turkestan 1879 –1883. These works were carried out because the then tsarist Russian government was forced to react after mudslides devastated the area causing significant economic hardship. In autumn 1879 thousands of seedlings were planted. 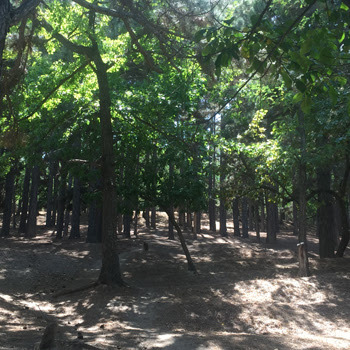 The main species were black locust, American ash, walnut, mulberry, Crimean pine, apricot and almond. Later, trees were planted on horizontal terraces designed by N.I. Korolkov. As well as preventing soil flows, long-living walnuts produce an important crop for locals to harvest and sell. Several of the original trees still stand and local families keenly monitor the forests to ensure that no illegal felling occurs. 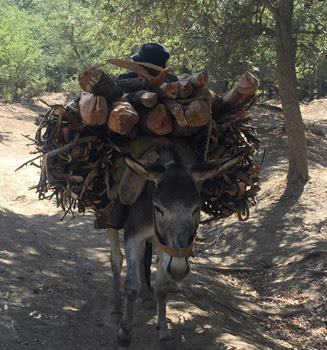 The Aman Kutan forest area covers 2158 hectares today. David Natanovich Lev was the leading investigator of the Stone Age in Central Asia, and a professor at the University of Samarkand. In 1947, his expedition discovered many ancient tools and the remains of a young Neanderthal man. These were dated roughly to 100,000 to 40,000 years ago, and are the earliest known human remains in Central Asia. 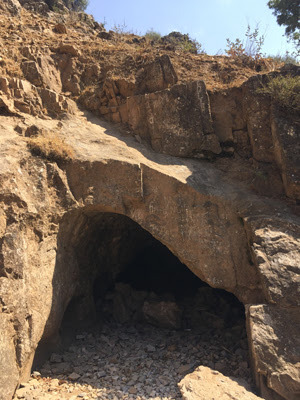 The cave where the remains were found is known as Lion's Cave ( lion is the English translation of "Lev"). The cave's length is 80 metres and can be visited. (However, if you wish to visit more than the first two halls, you will need proper caving gear). It is possible to arrange a one or two day hike in the area, with picnic lunches and home cooking. Particualrly in summer, Aman Kutan's cooler climate - usually about 8 degrees Celsius less than Samarkand - is ideal for hiking. Accompanied by a guide, you can hike through the forest, enjoying the seasonal flora. The guide will also point out where the 19th century Russian barracks were and other remnants of the afforestation team's work. After inspecting the Lion's Cave you can picnic nearby then head back to Aman Kutan village via the old Soviet pioneer camp. Alternatively, you can make a bigger loop by hiking through the pass and back to the village. Either way, the scenery is spectacular and the history interesting. After your hike, you can enjoy a delicious meal on a tapchan under the trees, listening to the river and rustle of leaves. The family that manages the Jahongir B & B in Samarkand can make all the arrangements for you. The accommodation is simple and comfortable. The garden is pretty and a good night's sleep guaranteed. The family can send you itineraries as well as Google Earth coordinates for the region.